Lucey Mortgage Corporation, a Charleston, South Carolina Mortgage Broker, offering low South Carolina mortgage interest rates. 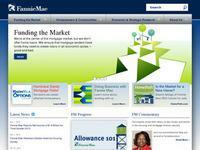 South Carolina Bank and Trust - Home page. New South Mortgage wants to be your mortgage broker in Charleston, Beaufort and Summerville of South Carolina. At Smith Barney, all of their investment experience, capabilities and resources are focused on helping you invest wisely. Consulting Group's investment process allows investors to work with Financial Advisors on making informed investment decisions to achieve their financial goals. Get a complimentary portfolio review, or if you are in need of a comprehensive financial plan, give them a call.